Caring professional dog walking, dog sitting and pet care services for Maidstone and the surrounding areas. Elaine runs the Maidstone branch and is very familiar with all the best dog walking routes around Allington, Barming, Broughton Monchelsea, Coxheath, Maidstone and Weavering. Elaine is City and Guilds qualified in dog walking as well as being police checked, pet first aid trained and fully insured for your peace of mind. She adores all animals and has a lifetime of experience in looking after a variety of pets including dogs, cats, horses, small animals and even reptiles. Elaine will take your dog for a walk with plenty of fun and exercise, and they will return home exercised and happy, ready for a towel down, treats and fresh water. Our ‘no pack walk’ policy means your dog can be walked safely with another friendly dog but will always receive individual supervision, attention and care. 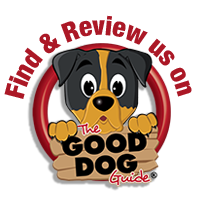 So if you need a dog walker or any dog sitting or pet care services you can see more details here or better still, please just contact us for a friendly chat – we would be delighted to hear from you. If you’re looking for dog walking and pet sitting in Maidstone call Elaine on 07500 772333 or email maidstone@we-love-pets.co.uk. All services carried out over a bank holiday are charged at double the normal rate. Weekend visits and walks will incur an additional surcharge. Jules joined We Love Pets Maidstone in April 2019 and is a local lady who has owned her own dogs. Jules loves walking and exploring the beautiful countryside we have here in Kent with all our dogs, whatever the weather! She’s looking forward to having a great summer with all our clients’ wonderful pets! The Maidstone branch also offers dog walking and pet services in Allington, Barming, Broughton Monchelsea, Coxheath, Loose, Maidstone and Weavering. I am so pleased with Elaine’s service. She is so attentive to our needs and makes sure our 12 week old pup is played with and fed and relaxed before she leaves so when we get home from work he is content and happy. I wouldn’t have anyone come in to my home. Definitely recommend! !